Greetings, virtual travelers of the Internet. It is the end to the start of a new year. By now, the resolutions have been cast aside and forgotten or, if you’re one of the few strong-willed among us, you’ve developed your resolutions into lasting habits. Congrats either way. You have made it a month into 2015! Once upon a time, there was a girl who only wore boots and sandals. Until one fateful day at Target, when she wandered into the shoe section. Under the bright, fluorescent lights she chanced upon a pair of slip-ons for half off. 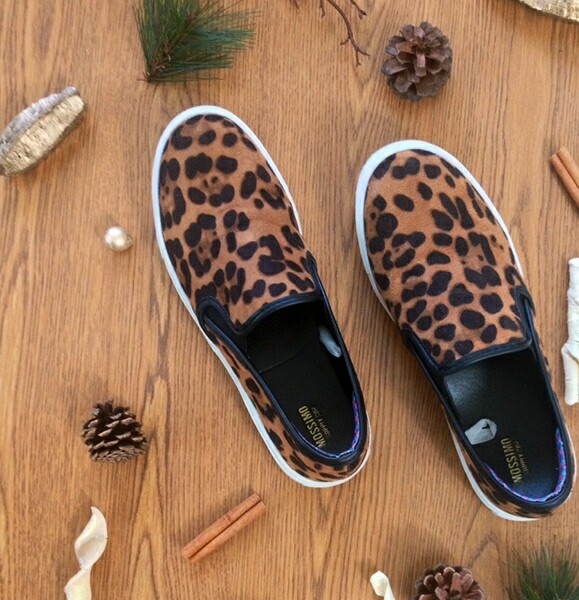 Inspired by the animal print of the shoes, she unleashed the wild animal within and pounced. The girl and the shoes were happy together. Not a better relationship could be found in the land. Until the shoes, unhappy at being stuck in three long classes, decided to give the girl the gift of blisters. On both feet. Yes. I was the girl. I was betrayed. Moral of the story: if you’re wearing shoes with a rigid heel, bring band-aids. PS: The pine cones are there to distract you from my horrible photography. Did it work? I’m on the blogging grind on a daily basis, but the brand Laura Geller never seems to be in the spotlight. That’s a shame, because I’ve enjoyed quite a few products by Laura Geller. 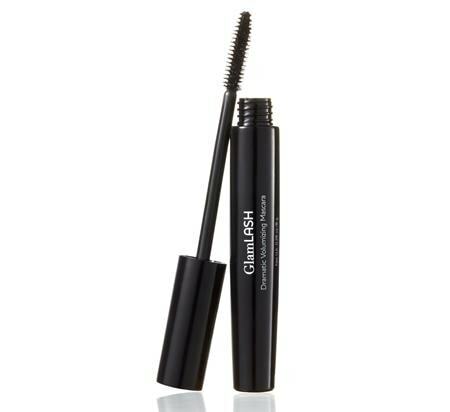 This mascara is very similar to Benefit’s They’re Real mascara, except, this one lasts all day and holds the curl. 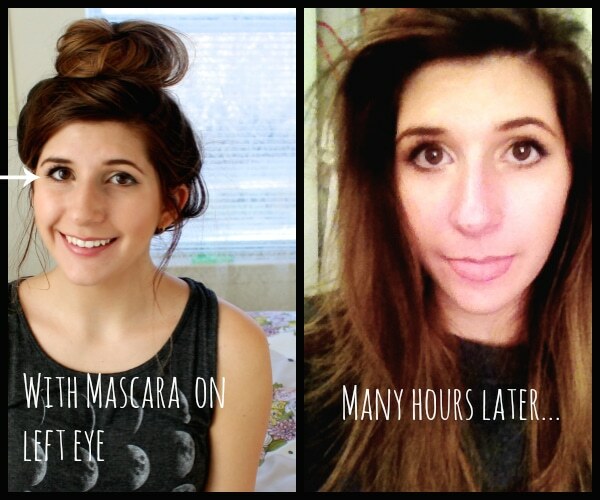 As you can by this super-scientific test, I put mascara on one eye (your left). Look at the difference: I have eyelashes. If these eyelashes could talk, they would say: “Yay! It’s showtime, girls,” while the other eyelashes would cry silent tears. Aww, poor eyelashes. Don’t worry, your time to shine is 400 failed selfies later. Many hours later (approximately 10 hours later), my eyelashes are still visible, voluminous and curly. Success! I hope you’re not offended by my not-smiling face. Unfortunately, my professionalism runs out at 11:30 p.m. and the true Leah comes out with the moon. Insert obligatory wolf howl. I’ve had a solid white comforter for some time now, so when these floral hedgehogs stepped on my radar I kept close tabs. 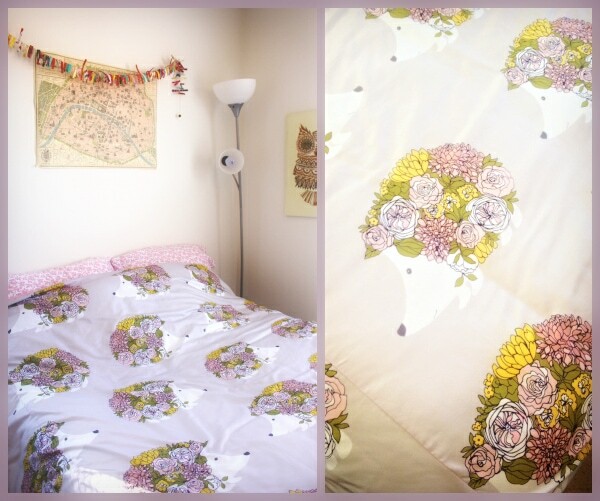 Like most things on ModCloth, this duvet cover eventually went on sale (out of stock, my foot). I was so impressed by the packaging and the quality of this bedding. I hope to get more things from ModCloth in the future. 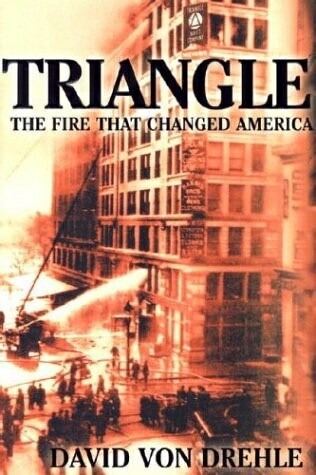 Triangle is a snapshot of the American Industrial Revolution. It jumps between the prominent actors of the time, such as immigrants, the factory owners, socialites and suffragists, whose stories are all connected by the Triangle Waist Factory. As I understand it, most of the accounts are based on true stories and people. I am only halfway through this, but I recommend it to anyone who enjoys historical books about this time period. The political message behind this book is not to point fingers or simplify matters to black and white, but to shed light on the grayness of the time. I was forced to watch the premiere of Season 5 of Downton Abbey. I had no context and seen zero episodes. Yet, somehow, it only took about half an episode to learn the characters. Let’s be real though, I still don’t know most of the names. Probably never will. This show is a drama: scandals, secrets and lovers, oh my. Most interesting, however, is how the different characters react to the historical events around them and how they adapt, or do not adapt, to the changing times. And of course, the fashion, the scenery, and the dog are amazing. My favorite character is Lady Cora. Who’s your favorite? What have you been loving this January? I would love to know your thoughts down below, and as always, please feel free to let me know what you want to see next.